February 14 is Valentine’s Day. For Phillies pitchers and catchers it is also is the first workout day at Carpenter Field. Two reasons love prevails on this date. As the Phillies prep for their 128th season, the ball club my rank as the greatest in their history. Six deep in starting pitchers, All-Stars everywhere but right field and behind the plate and two outstanding relievers for the end of the games. You know the rotation and the closer and you also know who is in the everyday lineup. OK, right field may still to be determined. Guess you can say, time has changed for the better. John Denny, the Phillies Cy Young Award winner in 1983, presented Roy Halladay his 2010 award Saturday night at the New York Baseball Writers Association of America annual banquet. Nice touch. Speaking of honors, Cliff Lee is being inducted into the Arkansas Hall of Fame in February. On Sunday in Springfield, MO, Tommy Herr, former Phillies second baseman (1989-90) is being inducted into the Missouri Sports Hall of Fame. Speaking of Halls of Fame…..work is in progress for the 12-person 2011 ballot for the Phillies Wall of Fame. Voting will take place on phillies.com again during spring training. More information will be forthcoming. The top five from fan voting are then passed on to a Special Wall of Fame Election Committee. Induction will take place August 12. The Phillies 5K sold out in less than 24 hours. 3,100 runners and I will not be among that number. . . New HD video board construction continues. Kind of strange right now looking at the naked structure in left field . . . “Old” Citizens Bank Park video board is up and running at Bright House Field, which will enhance the festival atmosphere in spring training . . . Citizens Bank Park remains a place to hold meetings, functions, etc. CITGO has a morning meeting Thursday in the Hall of Fame Club while Philly Coca-Cola has an all-day meeting in the Diamond Club . . . Happy 50th wedding anniversary to LHP Al Neiger, who wore the Phillies uniform in 1960. He and Barbara were married on January 28, 1961, had a short honeymoon and then headed for Clearwater and spring training. Caught up with former Phillies second baseman and current Manager of the Williamsport Crosscutters, a Phillies affiliate. Mickey is currently a participant as a “Legend” at Phillies Phantasy Camp in Clearwater, Florida. Mickey, can you tell us about your new role with the Phillies? “Well, it’s great to be back in the organization on a full-time basis. The opportunity came up to be the Manager for the Williamsport Crosscutters this past off-season and I jumped on it. I’ve been running a youth baseball organization for the past six years and coaching a high school baseball team for the past four years so looking forward to make the leap to professional baseball”. Does it help that you’ve been in our Spring Training camp for the last several years? What’s your favorite Phillies memory? “I would have to say either the unassisted triple play against the Pirates or the triple off Maddux in Game 6 of the 1993 NLCS”. What’s your role at Phantasy Camp? “I manage a team with Dickie Noles and serve as the Public Defender at the daily Kangaroo Court. LA, Kruk and Mitch serve as the prosecutors and judges for any Phantasy Camper that violates the written or unwritten baseball codes and I help defend them…it’s a tough job but someone has to do it”. What style of a Manager will you be? “I had three managers as a player…Jim Fregosi, Terry Francona and Jim Riggleman. I’m going to take a little bit from each guy but will definitely have my own style. I’ll demand 100% from our guys”. (On a side note, Morandini almost got tossed from a Phantasy Camp game yesterday after a long tirade directed towards the home plate umpire). “I took my family to Hawaii on a week-long vacation…had a great time in Kauai”. (John Brazer, Director of Publicity, is in Clearwater at the Phantasy Camp. He’s a guest writer for Phillies Insider through Sunday, providing interviews with Phillies legends). At the 11th annual Phillies Phantasy Camp, which officially started last night, there are 22 Phillies “legends” participating in the camp. One of the legends is a former Phillie who helped the team win the 2008 World Series Championship…lefty reliever Scott Eyre. Scott, what are you doing these days? “I’m coaching my sons’ two little league teams and travelling teams while tending to my “farm” in Bradenton featuring 4 dogs, 5 cats and a frog”. What’s your role here at Phantasy Camp? “This is my first Phantasy Camp and am having a blast. Debbie Nocito from the Phillies asked me to be a special guest. I have no idea what that entails but think it means I’m the professional mingler. Last time I was here at Bright House Field, I left the bullpen during a game and found out how to get on top of the roof of the ballpark. It was a great view until the 10 security guards quickly escorted me down. It’s great catching up with guys like Larry Andersen, Mitch Williams and Mickey Morandini”. What’s the coolest thing that you did last summer? “I took the family, including four of the dogs, on a cross-country trip in our 40 foot RV while pulling a GMC Acadia. We started in Bradenton and trekked through 20 states, ending in Vancouver Island. Our highlight was driving through Yellowstone Park. My wife was desperate to see a bear. Unfortunately, we saw every other species except for a bear…still was an unbelievable experience. A scary moment occurred when we almost overheated trying to pass someone on a narrow pass near Vegas. Luckily, the RV survived and we were able to continue on the trip. Do you keep up with the Phillies? “Of course. I spend a lot of money on the MLB package and watch tons of games. I still root hard for my former teammates”. “The arm is good. I throw so much BP to my kids that I could be the next Jim Morris. Maybe they could make a movie about me one day”! What’s in the future for Scott Eyre? “Right now, I am really enjoying retirement and spending time with my family. I’ve been doing some analyst work with MLB.com. I’m not sure where that’s going to lead but having a great time so far”. (John Brazer, Director, Publicity for the Phillies, is in Clearwater at Phantasy Camp. He’ll be a daily guest writer for Phillies Insider through Sunday). Well, it is time for another sold out Phantasy Camp this weekend in Clearwater. Carpenter Field and Bright House Field will be the scenes of the annual camp. 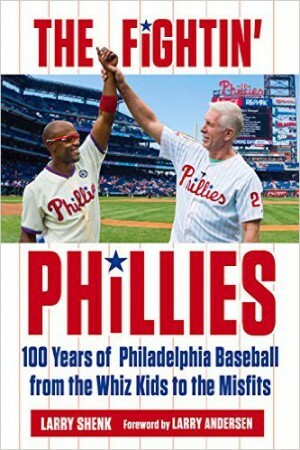 Twenty-one Phillies Alumni will be on hand: Larry Andersen, Dickie Noles, Mickey Morandini, Marty Bystrom, Von Hayes, John Kruk, Dave Hollins, Kevin Stocker, Mike Lieberthal, Milt Thompson, Mitch Williams, Tyler Green, Tommy Greene, Bob Boone, Jim Eisenreich, Juan Samuel, Ricky Jordan, Warren Brusstar, Ricky Bottalico, Greg Luzinski and Terry Harmon. John Brazer, Phillies Director, Publicity, will there and will file daily reports that will be posted here starting Thursday. Roy Halladay will receive his Cy Young Award on Saturday night at the annual black-tie banquet held by the New York Baseball Writers Association of America Chapter. Two tables of Phillies execs will be there . . . Happy birthday today to Mike Lieberthal, 39. He’s eligible for the Phillies Wall of Fame ballot this year. More coming on that next month . . . Phillies Insider finished in 22nd place in the MLB Pro category on MLB.com. #1 in that category: MetsBlog.com. Ugh. Anyway, thanks for reading and the ranking. E-mails. The universe is crawling with them. Best part about some of the e-mails is the friendly delete button. If you delete e-mails, where do they go? Is the universe also filled with deleted e-mails? Do they bump into each other? Are they recycled? Anyway, one e-mail that didn’t get the delete button was one sent by Frank Coppenbarger. The grey-haired guy is the team’s Director, Team Travel and Clubhouse Services. “The equipment truck for spring training will be loaded and depart on the morning of Friday, February 4th.” Yep, a truck’s journey from Citizens Bank Park to Clearwater is the first sign that baseball is coming quickly. Simply put, it is January’s most welcomed e-mail! RHPs Michael Stutes, Michael Schwimer, Justin DeFratus and Chris Kissock were among the six prospects. The others were 2B Harold Garcia and 1B Matt Rizzotti. The prospects got to hear from David Montgomery, and Ruben Amaro Jr. The itinerary included sessions with Frank Coppenbarger (clubhouse and travel etiquette), David Buck (the business of baseball), Larry Christenson (success and life after the game), Jeff O’Brien (branded a leader), Charlie Manual and Ryan Howard (playing preparation/expectations), Larry Andersen (how to be a professional ballplayer) and Ron Jaworski (guest speaker). Christenson, Andersen and Jaworski all played in Philadelphia and have had successful careers after their playing days ended. Communications Department along with Leslie Gudel (Comcast SportsNet), Paul Hagen (Daily News), Jim Salisbury (CSNPHILLY.COM) and Jayson Stark (ESPN.com). The two-day program was to conclude with the 76ers game tonight. Because of the predicted snow storm, the program started earlier this morning so the players could get 6 p.m. flights to their respective homes. Want a warm thought? Spring training is underway in five weeks. **Phillies will send Domonic Brown, RHP JC Ramirez and RHP Vance Worley to the Mjor League Baseball’s annual Rookie Career Development Program this weekend in Leesburg, VA.
**SS Freddy Galvis, 2B Harold Garcia, 1B Matt Rizzotti, RHP Justin DeFratus, INF Carlos Rivero, RHP Michael Schwimer, RHP Michael Stutes and RHP Chris Kissock will participate in the Phillies Prospect Education Program at Citizens Bank Park, Jan. 6-9. **Phillies will be holding a mini camp for pitchers in Clearwater, Jan. 13-17. Around 15 pitchers will be invited. **An amazing 85,000 kids have committed to the Be A Phanatic About Reading program this winter. **Three spring training trips to Clearwater are now sold out. Same for the Phillies cruise and Phantasy Camp. **Top selling Phillies merchandise during the holidays were: Cliff Lee t-shirts, Wives’ Cookbook, Great Expectations video and holiday ornaments. **When Pat Gillick was the Toronto GM, he built two World Champions. One of the key trades he made to solidify the club was getting second baseman Roberto Alomar from the Padres. Pat and Roberto will be inducted into the baseball Hall of Fame in July. Very fitting that they will share the stage that day. It’s that time of the year when the holiday bells are being replaced by the holiday bills. January in baseball generally means the banquet circuit with spring training coming the following month. February 12 is day one of meetings for Ruben and Charlie and their staffs. It will take place on the second floor of the one-year-old Carpenter Field clubhouse. That’s not far away. Ruben is receiving the Hometown Hero award from the Anti-Defamation League for his work in promoting diversity in sports. The banquet is January 11 at the HUB at the Cira Centre. More about other banquets later this month. This month also means that FOX and ESPN Sunday Night have selected their national television dates. 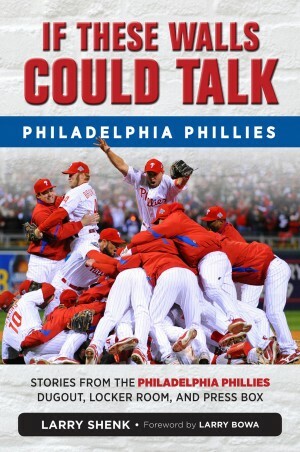 As you may well imagine, the Phillies will be big. ESPN has selected two Sunday dates and the Phillies are in a pool for three other dates. FOX has picked five games at Citizens Bank Park and four on the road. One of the Fox Saturdays is May 21, a 7:10 p.m. prime telecast against the Rangers. Wouldn’t that be something if Cliff Lee started that game? A complete list of all the national TV dates can be found on the schedule on this site.